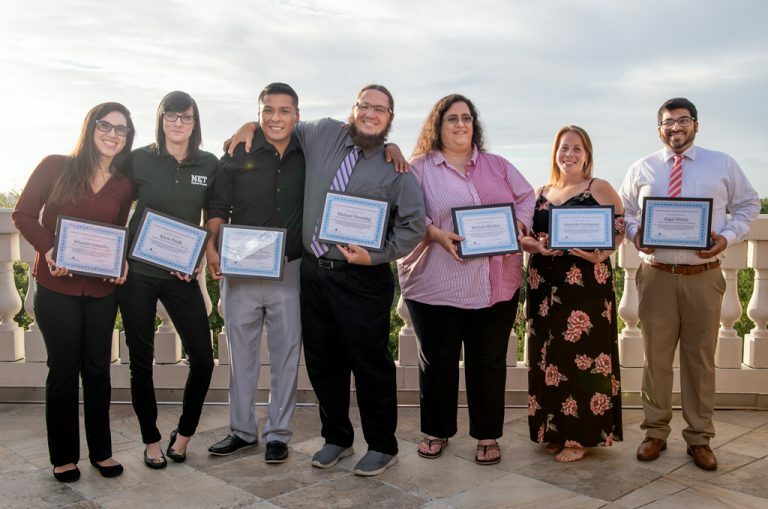 At a ceremony held at Valencia College’s district office on Oct. 4, eight Valencia College students, all studying in the college’s network engineering technology program, were recognized by the Aspen Institute and the Siemens Foundation’s Siemens Technical Scholars program. The Aspen Institute and Siemens Foundation have named five Valencia College students as 2018-19 Siemens Technical Scholars. All five are students in Valencia’s network engineering technology program, which prepares them for careers in network systems, cyber security and information technology. The prestigious Siemens Technical Scholars awards recognize an exceptional group of diverse students who demonstrate the rewarding careers and opportunities that result from completing STEM programs. This year’s 44 Scholars will go on to serve as ambassadors for their programs and their respective fields. a banking security expert who will hold workshops on credit-card security that will be open to all Valencia College students. an expert from the International Association of Privacy Professionals who will conduct identity security workshops for Valencia students.